Do you know if the amount you're paying on your HVAC and cooling bills are too much? It may be time to think about an HVAC replacement. If you want to create a healthy, environmentally friendly living space, start with your air. 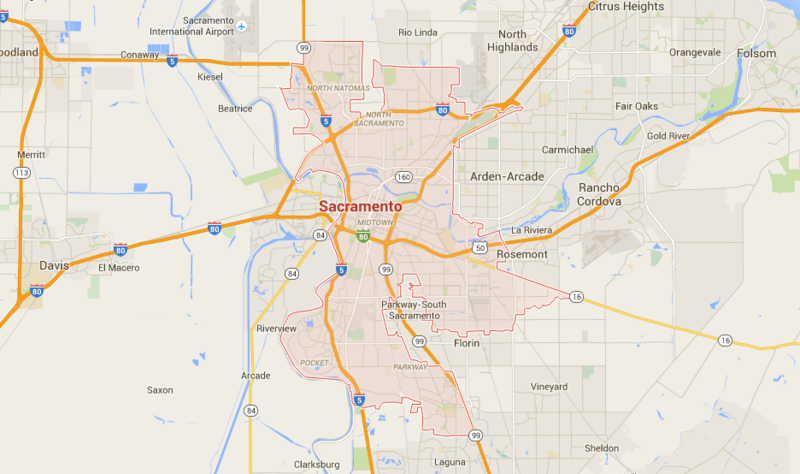 Modernize is one of the top sources for finding HVAC in Sacramento, CA. We are proud of what we do. We want to connect our homeowners to the best local HVAC and air conditioner contractors in a quick and easy process. It is always smart to compare at least four different price quotes from contractors to make sure you are getting the best local prices on installation services. We can connect you with the local professionals that will help you explore all the options for upgrading your home's HVAC system. Get free quotes from the best hvac repair contractors in Sacramento, CA, ready to complete your project. We will also teach you how to take advantage of rebates,… More	We will also teach you how to take advantage of rebates, tax incentives, as well as government backed financing. Bell Brothers Plumbing "The No Surprise Guys"
New HVAC systems are cost effective, energy efficient, and increase property value; but, choosing a new HVAC system can be a challenge especially if this is the first time you’ve had to decide what to buy. With the tips in the HVAC Buyer’s Guide, you’ll be prepared to make each decision with confidence. Californians live in one of the best states for seasonal climate changes. In Sacramento, residents experience mild winters, cool fall temperatures, a pleasant spring, and moderate summer temperatures. With climate in mind, choose an HVAC system that provides the proper comfort zone appropriate for the size of the home. Financial planning is a key component of upgrading to a new HVAC system. The type of system you select and the size needed for your property plays a part in the initial cost. If you have the cash necessary, that is always a good option. If a loan is necessary, California offers quite a few programs including home equity loans, standard loans, a financing option with retail stores, and energy incentive programs. In Sacramento, installing an HVAC requires that a state-licensed contractor obtain a building permit from the city’s permit office prior to any work being started. Failure to have a permit will result in fines. With a building permit, inspections take place to ensure the system has been installed correctly and operating in an efficient manner. An inspection also ensures the new system meets the testing and verification requirements for the Home Energy Rating System (HERS), and that the system is in compliance with State Building Energy Efficiency Standards. Failure to have the proper permit can result in fines and a voided warranty. For permits, contact the City of Sacramento Community Development building located at 300 Richards Boulevard, 3rd Floor, by calling 916-808-5838. Certified HVAC contractors have the experience, equipment, and knowledge to install a system properly. With many programs, installation by a certified HVAC specialist is a requirement. Having a non-licensed person install the system can also void the warranty. In Sacramento, a building permit is required as is a state-licensed contractor to handle the HVAC installation project. Be aware there are contractors who will tell you a permit is not necessary. This is incorrect and may result in fines and in an improperly installed system that is not operating efficiently. An HVAC contractor, also known as a C-20 specialist, is who you want to hire. When considering a contractor, get a minimum of three estimates and references for each. Also ask to see a photo their contractor’s license. You can check each license at the Contractor’s State License Board website to ensure you’re hiring the right contractor. With the help of a state-certified HVAC contractor, you’ll be able to determine an appropriately sized system for your property. It’s a good idea to use a free, online cost calculator to estimate the cost yourself to compare to the contractor’s. It’s important not to choose a system that is too large for your property which will result in wasted energy and higher utility bills, or a system that is too small to heat and cool adequately. When choosing a system, whether electric, multi-system, or split-system, understanding what the different efficiency ratings mean will help you choose the right HVAC for your home and budget. The Seasonal Energy Efficiency Ratio (SEER) rates cooling system efficiency and has a rating minimum of 13 for new systems. The Heating Season Performance Factor (HSPF) rates the heat pump and has a minimum rating of 7.7. The higher the ratings, the higher the cost but overtime, the system will pay for itself with lower utility bills. Stick to your checklist, do your research, verify credentials, and ask questions, and a new HVAC installation should run smooth as silk. A little prep time from the get-go ensures a quality installation for optimum efficiency as well as saving money by purchasing the right sized system for your property.